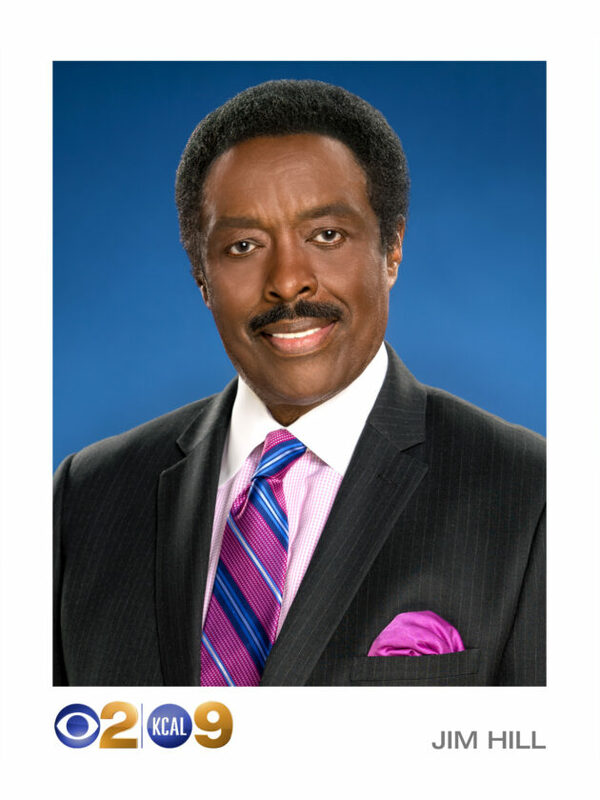 One of the nation’s most respected sports anchors, Jim Hill has been a fixture on CBS 2 in Los Angeles for more than 30 years. He appears on the station’s weekday 6 and 11 p.m. newscasts and hosts the weekend editions of “Sports Central” – Southern California’s most comprehensive sports newscast. Hill, who played defensive back in the National Football League, draws upon his experience as a player, his talents as a broadcaster and relationships with top athletes and coaches to deliver his award-winning sports reports. In May 2006, Hill received a star on the Hollywood Walk of Fame during a ceremony that was attended by a Who’s Who list of Hall of Fame athletes, entertainers and government leaders. Hill was inducted into the Southern California Sports Broadcasters Hall of Fame in 2010. The same organization has named Hill and his CBS 2 and KCAL 9 colleagues the best television sports anchor staff in the Los Angeles area numerous times. In addition, he has been honored by the Academy of Television Arts & Sciences, Los Angeles Press Club, Associated Press, United Press International and many other organizations. He has also been recognized many times as Southern California’s best sportscaster by a number of local newspapers. In addition, USA Today named him the best sports anchor in Los Angeles. Hill began his career as a sportscaster with CBS 2 in 1976. He initially spent 11 years with the CBS-owned station. Then, following four years with KABC-TV in Los Angeles, he rejoined CBS 2 in March 1992. Jim Hill is one of THE best sports announcers in the nation! He consistently delivers the very best sports news and stories!